You’ll love the way the beautiful colors and interesting stitch patterns are combined in this doily. Crochet it and display it on a piece of furniture or frame it for the wall. Doily measures about 12” [30.5 cm] in diameter. 1. Doily is worked in joined rounds with right side always facing. 2. When instructed to join new yarn you may join using any method you choose (e.g. with a slip st, by simply drawing up a loop). 2-dc Cl (2 double crochet cluster) = [Yarn over, insert hook in indicated stitch or space, yarn over and pull up loop, yarn over, draw through 2 loops on hook] twice, yarn over, draw through all 3 loops on hook. 3-dc Cl (3 double crochet cluster) = [Yarn over, insert hook in indicated stitch or space, yarn over and pull up loop, yarn over, draw through 2 loops on hook] 3 times, yarn over, draw through all 4 loops on hook. 5-dc Cl (5 double crochet cluster) = [Yarn over, insert hook in indicated stitch or space, yarn over and pull up loop, yarn over, draw through 2 loops on hook] 5 times, yarn over, draw through all 6 loops on hook. 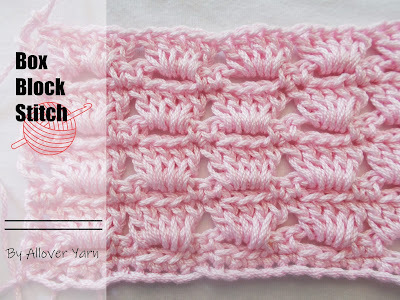 2-tr Cl (2 treble crochet cluster) = *[Yarn over] twice, insert hook in indicated stitch or space, yarn over and draw up a loop, [yarn over and draw through 2 loops on hook] twice; repeat from * once more, yarn over and draw through all 3 loops on hook. 4-tr popcorn = Work 4 tr in indicated stitch or space, drop loop from hook, insert hook (from front to back) in first tr of the 5 tr just made, return dropped loop to hook and draw through. dtr2tog-over-picots (double treble crochet 2 picots together) = *[Yarn over] 3 times, insert hook in ch-4 space of next picot, yarn over and draw up a loop, [yarn over and draw through 2 loops on hook] 3 times; repeat from * once more, yarn over and draw through all 3 loops on hook. Note: Skip all stitches between the two picots being joined with the dtr2tog. ch-4 picot (chain-4 picot) = Ch 4, slip stitch in top of last stitch made. triple-picot = Ch 4, slip stitch in front loop at top and front strand of actual stitch of last stitch made, ch 5, slip stitch in the same stitch catching front loop of first ch-4 loop where you slip stitched into top of stitch, ch 4, slip stitch in the same stitch catching front loop of first ch-4 loop and ch-5 loop where you slip stitched into top of stitch. With A, ch 4; join with slip st in first ch to form a ring. Round 1 (right side): Ch 1, 8 sc in ring; join with slip st in front loop of first sc—8 sc. Round 2: Ch 2, working in front loops only, (5-dc Cl, ch 3, slip st) in same st as joining, (slip st, ch 2, 5-dc Cl, ch 3, slip st) in each of next 7 sc —8 clusters. Fasten off and weave in ends. Round 3 (right side): With right side facing, working behind clusters of Round 2 and into sts of Rounds 1, join C in back loop of any sc of Round 1, working in back loops only, ch 2, tr in same sc (first ch-2 and tr count as first 2-tr Cl), ch 1, 2-tr Cl in same sc, *ch 1, (2-tr Cl, ch 1, 2-tr Cl) in next sc; repeat from * around, ch 1; join with slip st in top of first cluster—16 clusters and 16 ch-1 spaces. Fasten off and weave in ends. Round 4 (right side): With right side facing, join B in any ch-1 space of Round 3, ch 1, sc in same ch-1 space, *ch 5, sc in next ch-1 space; repeat from * around, ch 5; join with slip st in first sc—16 sc and 16 ch-5 spaces. Round 5: (Slip st, ch 1, 2 sc, ch 2, 2 sc) in first ch-5 space, (2 sc, ch 2, 2 sc) in each of next 15 ch-5 spaces around; join with slip st in first sc—Sixteen (2 sc, ch 2, 2 sc) groups. Fasten off and weave in ends. Round 6 (right side): With right side facing, join A in any ch-2 space, ch 3 (counts as tr), (tr, 4-tr popcorn, ch-4 picot, 2 tr) in same ch-2 space, (2 tr, 4-tr popcorn, ch-4 picot, 2 tr) in each of next 15 ch-2 spaces around; join with slip st in top of beginning ch-3— Sixteen (2 tr, popcorn, picot, 2 tr) groups. Fasten off and weave in ends. Round 7 (right side): ¬With right side facing, join B in ch-4 space of any picot, ch 1, sc in same ch-4 space, *ch 7, sc in ch-4 space of next picot; repeat from * around, ch 7; join with slip st in first sc—16 sc and 16 ch-7 spaces. Round 8: (Slip st, ch 1, 3 sc, ch 3, 3 sc) in first ch-7 space, (3 sc, ch 3, 3 sc) in each of next 15 ch-7 spaces; join with slip st in first sc— Sixteen (3 sc, ch 3, 3 sc) groups. Fasten off and weave in ends. Round 9 (right side): With right side facing, join C in any ch-3 space, ch 1, sc in same ch-3 space, ch 3, (tr, ch 3, tr, ch 4, tr, ch 3, tr) in next ch-3 space, *ch 3, sc in next ch-3 space, ch 3, (tr, ch 3, tr, ch 4, tr, ch 3, tr) in next ch-3 space; repeat from * around, ch 3; join with slip st in first sc—Eight (tr, ch 3, tr, ch 4, tr, ch 3, tr) groups, 8 sc, and 16 ch-3 spaces. Fasten off and weave in ends. Round 10 (right side): With right side facing, join A in any sc, ch 2 (counts as dc), *skip next ch-3 space, (2 tr, 4-tr popcorn, ch-4 picot, 2 tr) in next ch-3 space, (tr, 4-tr popcorn, ch-4 picot, [tr, 4-tr popcorn, ch-4 picot] twice, tr) in next ch-4 space, (2 tr, 4-tr popcorn, ch-4 picot, 2tr) in next ch-3 space **, dc in next sc; repeat from * around ending last repeat at **; join with slip st in top of beginning ch—8 pattern repeats. Fasten off and weave in ends. Round 11 (right side): With right side facing, join B in ch-4 space of 3rd picot, ch 12 (counts as dc, ch 10), skip next picot, dtr2tog-over-picots, *ch 10, skip next picot **, dc in next picot, ch 10, skip next picot, dtr2tog-over –picots; repeat from * around ending last repeat at **; join with slip st in 2nd ch of beginning ch-12—8 dtr2tog-overpicots, 8 dc and 16 ch-10 spaces. Round 12: Ch 1, sc in same ch as joining, *11 sc in next ch-10 space, sc in space between the 2 legs of the next dtr2tog, 11 sc in next ch-10 space **, sc in next dc; repeat from * around ending last repeat at **; join with slip st in first sc—192 sc. Fasten off and weave in ends. Round 13 (right side): With right side facing and working in back loops only, join C in first sc of previous round, ch 2 (counts as dc), 2-dc Cl in same sc, ch 1, working behind cluster just made, sc in last sc of previous round, *skip next unworked sc, 3-dc Cl in next sc, ch 1, working behind cluster just made, sc in skipped sc; repeat from * around; join with slip st in first sc—96 clusters, 96 sc, and 96 ch-1 spaces. Fasten off and weave in ends. Round 14 (right side): With right side facing, join B in first sc, ch 1, 2 sc in same sc, 2 sc in each remaining sc around; join with slip st in front loop of first sc—192 sc. Round 15: Ch 3 (counts as dc, ch 1), working in front loops only, skip next sc, dc in next sc, *ch 1, skip next sc **, dc in next sc; repeat from * around ending last repeat at **; join with slip st in 2nd ch of beginning ch—96 dc and 96 ch-1 spaces. Fasten off and weave in ends. Round 16 (right side): With right side facing and working in back loops only, join A in first skipped sc, ch 3 (counts as dc, ch 1), dc in next skipped sc, *ch 1, dc in next skipped sc; repeat from * around, ch 1; join with slip st in 2nd ch of beginning ch-3—96 dc and 96 ch-1 spaces. Fasten off and weave in ends. Note: In Round 17, stitches are worked into ch-space/dc pairs. Each pair consists of a ch-1 space from Round 15 and a dc from Round 16. Insert the hook into the ch-space and the dc, then work the indicated stitches. Round 17 (right side): With right side facing, join B by inserting hook in first ch-1 space of Round 15 and 2nd ch of beginning ch-3 of Round 16, ch 1, 3 sc in same ch/space pair, [2 sc in next ch-1 space of Round 15 and next dc of Round 16 at the same time] 5 times, *3 sc in next ch-1 space of Round 15 and next dc of Round 16, [2 sc in next ch-1 space of Round 15 and next dc of Round 16] 5 times; repeat from * around; join with slip st in first sc—208 sc. Fasten off and weave in ends. Round 18 (right side): Repeat Round 13— 104 clusters, 104 sc, and 104 ch-1 sps. Fasten off and weave in ends. Round 19 (right side): With right side facing, join B in sc of 2nd to last cluster of previous round, ch 1, 2 sc in same sc, 2 sc in each remaining sc around; join with slip st in front loop of first sc —208 sc. Round 20: Slip st in next sc, ch 1, sc in same sc, ch 10, skip next 6 sc, sc in next sc, *ch 9, skip next 5 sc, sc in next sc, ch 10, skip next 6 sc, sc in next sc; repeat from * to last 5 sc, ch 9, skip last 5 sc; join with slip st in first sc—32 sc, 16 ch-9 spaces, and 16 ch-10 spaces. Place a marker in any one of the ch-9 spaces. Round 21: Slip st in first ch-10 space, ch 1, (5 sc, ch 3, 5 sc) in same ch-space, (5 sc, ch 3, 5 sc) in each remaining ch-9 space and ch-10 space around; join with slip st in first sc— Thirty-two (5 sc, ch 3, 5 sc) groups. Fasten off and weave in ends. Round 22 (right side): With right side facing, join C in the ch-3 space directly above the marked ch-9 space of Round 20, remove the marker, ch 1, sc in same ch-3 space, ch 4, (tr, [ch 4, tr] 3 times) in next ch-3 space, *ch 4, sc in next ch-3 space, ch 4, (tr, [ch 4, tr] 3 times) in next ch-3 space; repeat from * around, ch 4; join with slip st in first sc—Sixteen (tr, [ch 4, tr] 3 times) groups. Fasten off and weave in ends. Round 23 (right side): With right side facing, join A in first sc, ch 3 (counts as tr), *skip next ch-4 space, (2 tr, 4-tr popcorn, ch-4 picot, 2 tr) in next ch-4 space, (tr, 4-tr popcorn, ch-4 picot, 2 tr, 4-tr popcorn, triple-picot, 2 tr, 4-tr popcorn, ch-4 picot, tr) in next ch-4 space, (2 tr, 4-tr popcorn, ch-4 picot, 2 tr) in next ch-4 space **, tr in next sc; repeat from * around ending last repeat at **; join with slip st in top of beginning ch—16 pattern repeats. Fasten off and weave in ends. Weave in any remaining ends. Block doily.